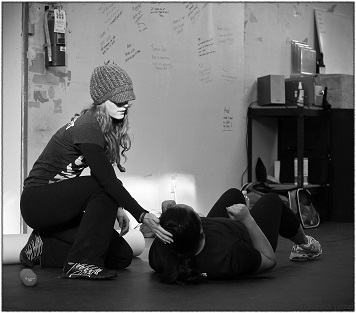 Our personal trainers are the best in Seattle! With years of experience working with people from all walks of life with various fitness and health goals, we strive to offer training programs that are specific to each client. Whether you need help losing weight, changing body composition, or improving physical performance, we have you covered! Our certified personal trainers specialize in a fun, functional and sustainable approach to fitness training. By utilizing the training space at MKG Seattle – one of the most dynamic performance institutions in the greater Seattle area – our trainers ensure real results in a fun, positive, and motivating atmosphere. We don’t have rows and rows of cardio and weight machines, instead we are equipped with functional training tools – including TRX Suspension Systems, medicine balls, kettlebells, free-weights, heavy bags and more – and lots of free space! Functionality and proper mechanics have long been ignored by mainstream fitness, and because of this the risk of injury and/or disengagement is heightened. Our goal isn’t just to have you looking great, we also want you to feel great, and be able to look and feel great for the long-term. By working with a Max 10 Personal Trainer you will be working with someone who has dedicated themselves to a healthy, active lifestyle…someone who walks the walk. Let’s face it, a lot of trainers out there don’t take the job seriously, they get into it for the wrong reasons and once they realize the actual commitment it takes, both professionally and personally, they’re looking for the next thing to do…and the client suffers. When you train with a Max 10 Personal Trainer, you’ll be working with someone who knows the science and has been successful applying it, both personally and professionally. Someone who’s developed an understanding of the strength, flexibility, mobility, and nutritional standards needed to be successful in leading a healthy, active lifestyle. We can’t wait to meet you, and help you achieve your fitness and lifestyle goals! Request your free fitness orientation today! *We hate spam as much as you do. We'll never sell your personal information!